THIS GORGEOUS CRAFTSMAN STYLE HOME IS A TRUE MUST SEE! HOME WAS TOTALLY RENOVATED IN 2016 (NEW ROOF, PLUMBING, CABINETS, WINDOWS, HVAC, LIGHTING, GRANITE, FLOORING, STAINLESS STEEL APPLIANCES, SIDING, PAINT, BATHS & MORE). 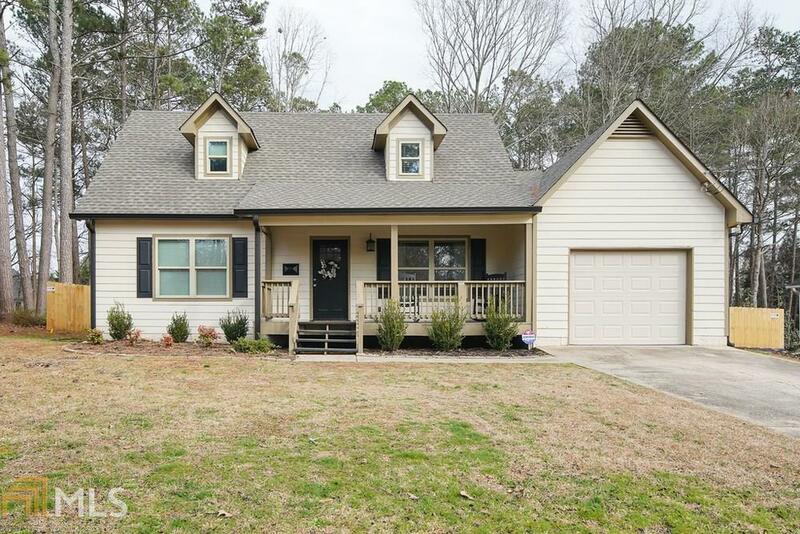 MASTER ON MAIN W/TWO ADDITIONAL BEDROOMS UPSTAIRS. PLANTATION BLINDS, OPEN FLOOR PLAN. LARGE DECK. NEW PRIVACY FENCE W/OVERSIZED GATE, EXTRA LARGE PRIVATE BACKYARD, A RARE FIND AT THIS PRICE IN TOP RATED SCHOOL DISTRICT! NO HOA. CONVENIENT TO SHOPPING, RESTAURANTS & SCHOOLS. POPULAR JOANNA GAINES STYLE HOME W/UPGRADES THRU-OUT. TOP RATED SCHOOLS - VAUGHAN, LOST MTN. & HARRISON. SEE IT BEFORE ITS GONE. Directions: From Mars Hill, W On Due West, Left On Teague (At Red Rock Hills Entrance), 1st Left On Stonehaven, House On Left After Sharp Curve To Right.